The ball that bounces on water! 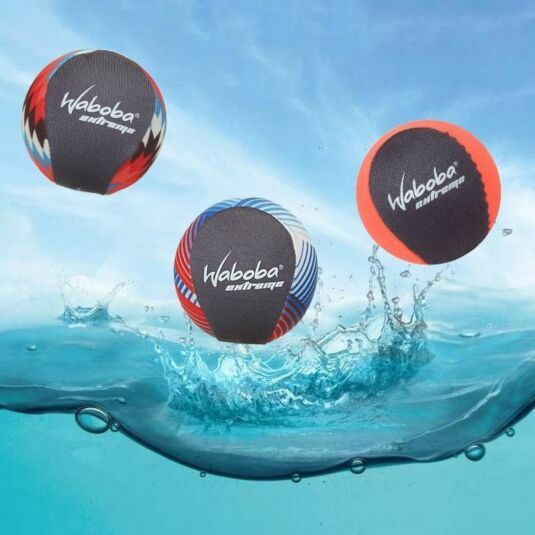 The essential beach and pool plaything - throw it, bounce it, splash with it, play the Waboba game with it - there is no better ball for the water! 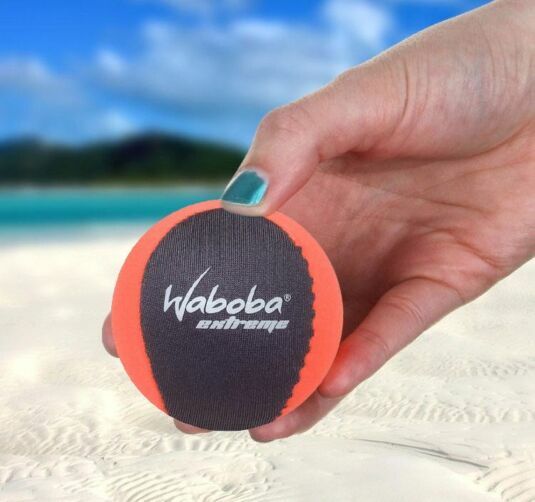 The Waboba Extreme Ball is the ideal ball for the beach! Fed up of tennis balls soaking up salt water, frisbees never reaching the right person or floating away, and beach balls just being too lightweight and slow? 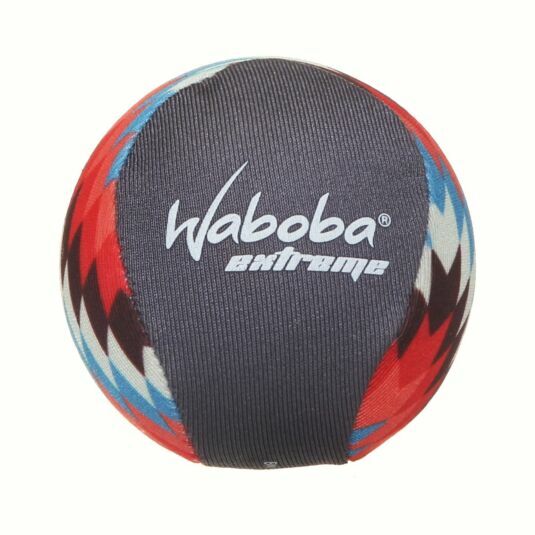 The Waboba Extreme Ball will put all those worries to bed! It's fast, furious and bounces on water! 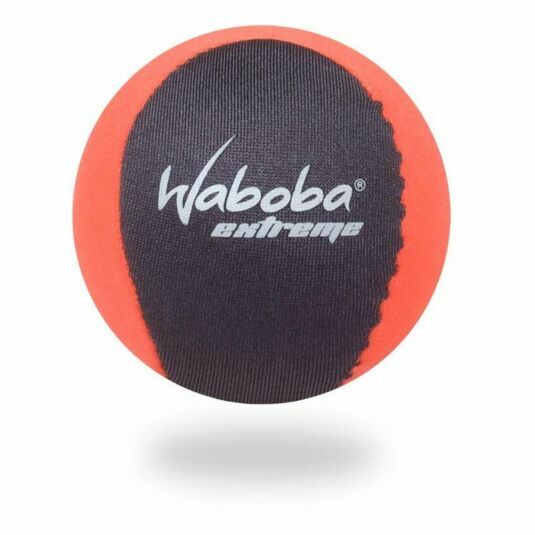 Its elastane outer casing also means it doesn't soak up water like a tennis ball, and with the included Waboba Game instructions you'll never get bored at the beach again! We have three designs of ball available; one orange, one stripes with red and blue, and one zigzagged in multiple colours! We cannot guarantee that you will receive your preferred design but order more than one and we will endeavour to ensure that you receive more than one type of design! Split into two teams (minimum of 2 players per team). Each team must pass the ball to each other, with a pass consisting of at least one bounce on water followed by a catch. A team receives one point when all team members have received one pass without interruption. The team not in possession of the ball must try to tackle or block passes in order to take control of the ball. Passes must be made within 5 seconds of receiving the ball. Tackling players without the ball is allowed, but holding them is not. The first team to 3 points wins! 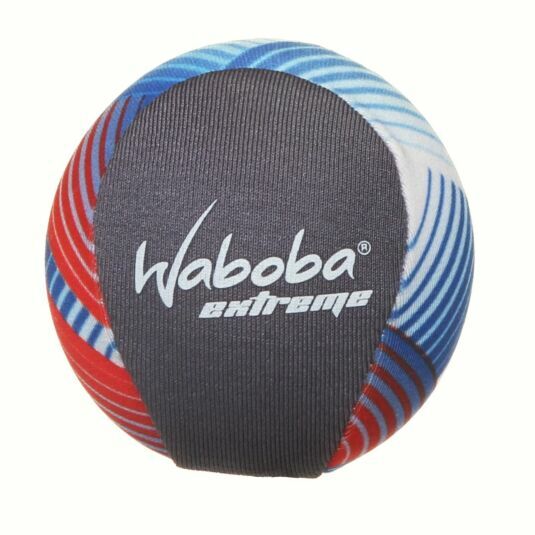 It makes the perfect fun holiday or home accessory, something that you can play with and enjoy for days and months!